Ohhh I love meal subscriptions! They are not only exciting to make but delicious to eat! 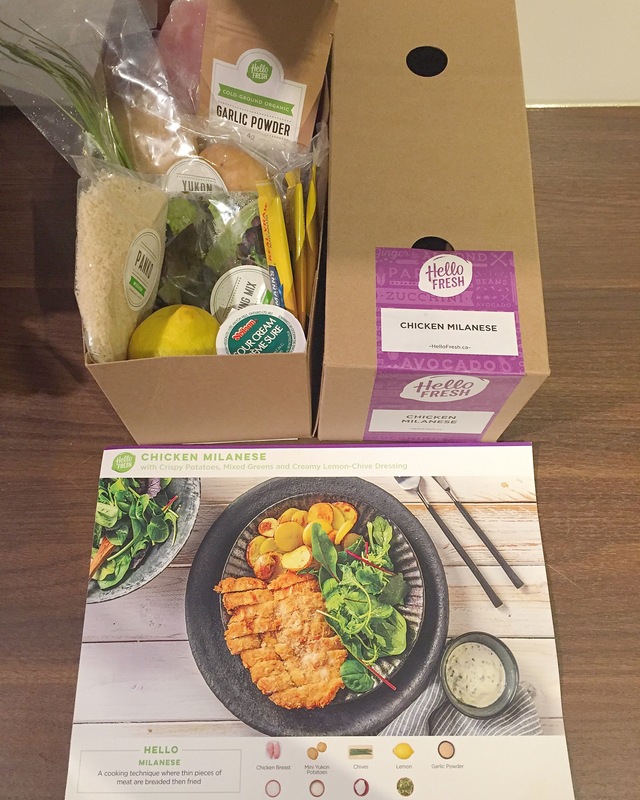 Hello Fresh is on track for becoming a new fav of mine with amazing menu items to choose from, all chef curated and using fresh seasonal groceries. Let them deliver a box full of everything you need to make an amazing meal that will not only impress your friends and family, but impress yourself with how easy it is to make and yummy to eat. Choose from their Family Plan which includes 5 different recipes to make in 30 mins or less and will feed the whole family which start at $10.83 a plate. The Pronto Plan which are perfect for you + 1 with 4 different recipes to choose from and start at $11.67 a plate. Lastly we have the Veggie Plan with 3 different recipes to choose from with an abundance of veggies and grains to keep you feeling full and starting at $12.33 a plate. I can’t tell you how much I actually love cooking, I just wish I had more time and patience and the experience… and yet how will I get the experience without boxes like these? Thank you to Hello Fresh and all the other meal subscriptions for giving me to opportunity to cook and enjoy doing it! This was the Chicken Milanese with crispy potatoes, mixed greens and a creamy lemon-chive dressing. The chicken was super simple to make with the straight forward directions and the dressing was finger licking good! It is super convenient that they deliver straight to my work or home, with the fish and meat on ice packs. Their meals are healthy, nutritious and they always have so many options ranging from meat, fish, vegetarian, fresh, local and supporting our local farmers! So spend less time grocery shopping and more time in the kitchen with the family cooking for the ones you love! Be sure to keep the recipe page to remake again and again, as they recipes are that good that you’ll want to!